The old and new timber houses are located on the green, partly densely wooded slopes and beyond the more than 3,000 meter high mountains of Ulten jut into the sky as foothills of the Ortler massif. Those who are looking not only for tranquility and nature, but also for originality will surely love Ulten and its picturesque villages. The valley of Ulten branches off from Lana in the holiday region Meran and environs. The river Falschauers flows through the valley, which is about 40 kilometres long and regarded as one of the most rustic and traditional ones in the vicinity. The largest village here is St. Walburg, situated at 1,190 meters above sea level more or less in the middle of the valley. 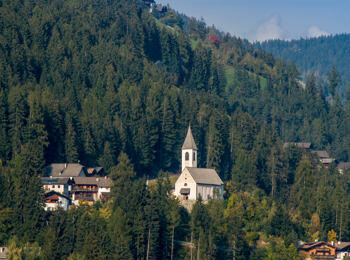 Together with Kuppelwies, St. Nikolaus and St. Gertraud it forms the municipality of Ulten. In the center of St. Walburg there is a lovely church with walls dating back to the 14th century. Scattered all round you can find residential buildings and farms. Partly they are modern, partly constructed in a traditional way with shingle roof, wooden fronts and wonderful farm gardens. Another worth seeing sacred building is the Gothic style chapel St. Moritz located above the Zoggler reservoir and housing some old frescos. 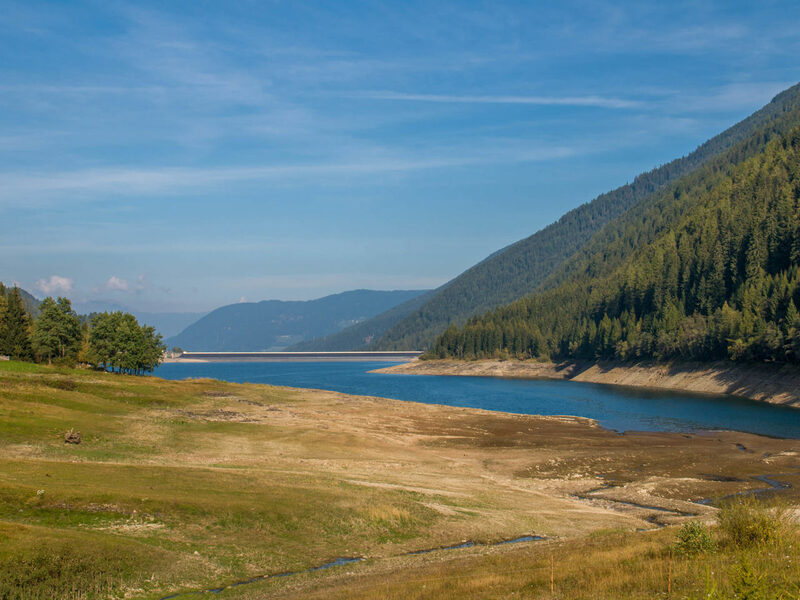 The artificial, 2.5 kilometres long reservoir was erected in the 1950ies in order to catch the water of the local river for electricity generation. Moreover it is a popular destination for strollers, because they can amble along on the lovely path around the lake. On the one hand sporting variety in and around St. Walburg is guaranteed due to the splendid mountain world inviting to make leisurely hikes, demanding climbs, mountain bike tours and other excursions. For instance the so called “farm trail” of Ulten enjoys great popularity. 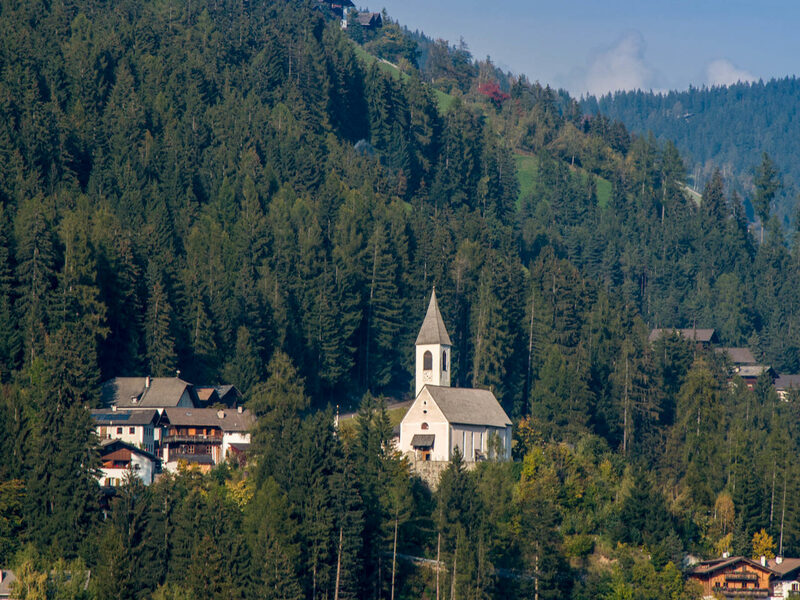 It leads from Kuppelwies – a hamlet at the farther end of the artificial lake – to St. Nikolaus, St. Gertraud and back on the other side of the valley. On the other hand in Kuppelwies there is also the valley station of the skiing area Schwemmalm with snow-sure slopes for the whole family. Moments full of well-being and relaxation, however, are promised by Bad Überwasser near St. Walburg in Ulten. The local source provides iron- and manganese-bearing water that has always been used for agreeable baths. Some years ago there was put up a lovely rest zone, where you can convince yourself of the good effects of the spring water.